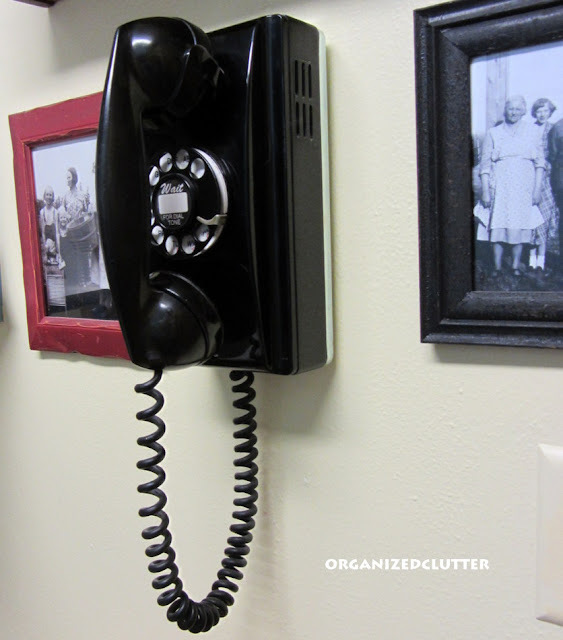 I purchased a 1940's Western Electric 354 black wall phone from Ericofon.com a few years ago. I think it was about $90. Designed by Henry Dreyfus and put into service in 1937, the Western Electric 354 is the wall version of the popular 302 or "Lucy Phone".This phone is commonly misrepresented as Bakelite, but in fact Western Electric never made any phones using Bakelite (other than for the handsets). They didn't think it was tough enough for long service life. The body of this phone is thermal plastic. The phone has been refurbished, and it does work but we rarely use it. The receiver has a pointed back as opposed to a flat back, and it's not comfortable to rest on your shoulder. I love the way it looks, but as far as I know the ringer can't be turned down. It has a pretty loud ring, and one of my dogs always barks whenever he hears it. There is some glass glare but I love these old photos. Besides the pointed backside of the receiver, the cord is entirely too short to talk for very long. It's more of a decoration, and maybe an emergency phone if the electricity was out. 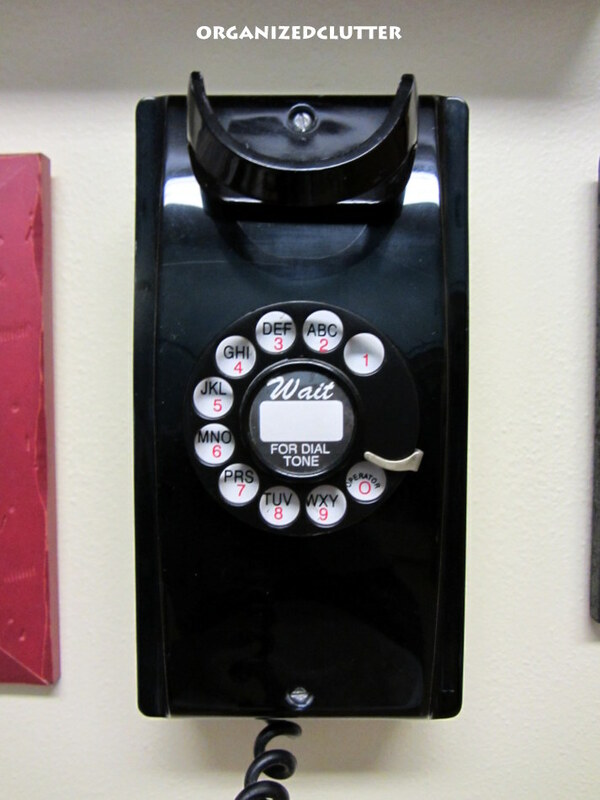 A corded wall phone with a rotary dial was the phone of my childhood. The receiver had a flat back that rested between your chin and shoulder and the cord was long enough to wash dishes, cook on the stove and get in the refrigerator while talking. We did not have a private line, instead a "party line". In this day and age of each person having their own personal cell phone, imagine our one family wall phone and a multi-family line that several of our neighbors also shared. Sometimes you had to wait to make a call until your neighbors finished their call. I think people used to listen in on other's conversations. I didn't, but I sure picked up the receiver during neighbor's phone calls checking if they were off yet. Great phone, Carlene. 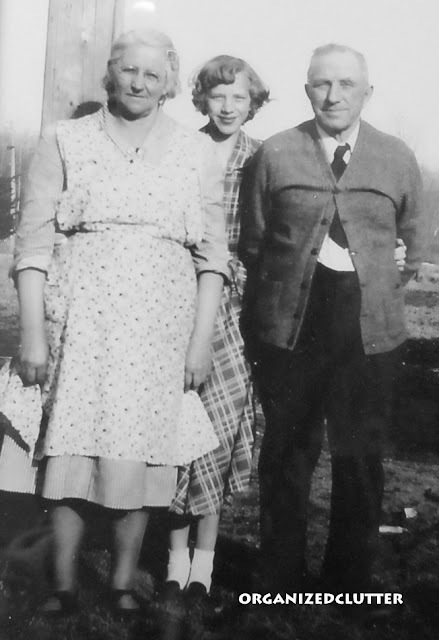 I love all things from days gone by. I have an original cobra phone from ericofon and it is sitting by my bed. I had it in my room as a teen. :) Love the photos, too! Carlene this is such a fun series of posts! I love your old wall phone! do you remember how to use a pay phone without money? terrible...but us kids had it figured out! Great minds think alike! I was planning on publishing a very similar post with a "new" phone I recently purchased. Oh, well. I'll come up with something else. Love your phone! I've got a Restoration Hardware model in our upstairs hallway that rings a little too loud, too. My hubby talks of his childhood and speaks of the "Party line". I can see our children's eyes glaze over when listening to him. What an awesome phone! This is a real beauty! OH Carlene, that's a fabulous phone whether for use or for show! 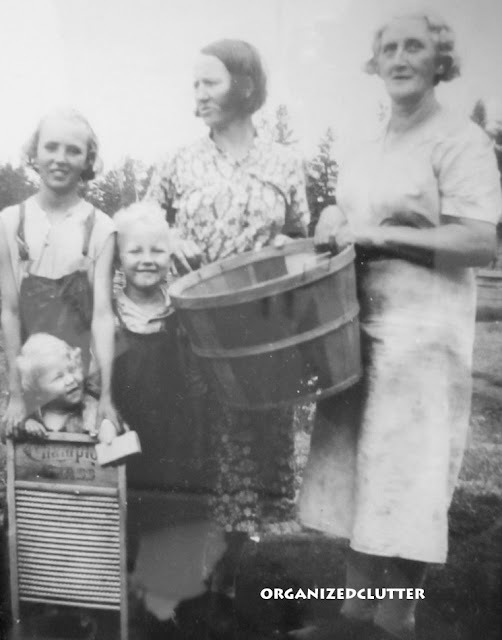 Your old photos make me smile, especially the one of all the girls and the washboard. Oh my goodness, aren't you glad you have those? I just love it! I love vintage phones, radios and clocks, Carlene, so I think this is just fabulous! Very cool that it works. We have an old candlestick phone, and I'd love to get it worked on so it might be able to work again, but not sure if it's possible or not. I also remember party lines! OK, I'm showing my age, but I grew up with one sort of like that. I remember it well, AND our old phone number too!! I love the phone. I specially love the photographs, fantastic. 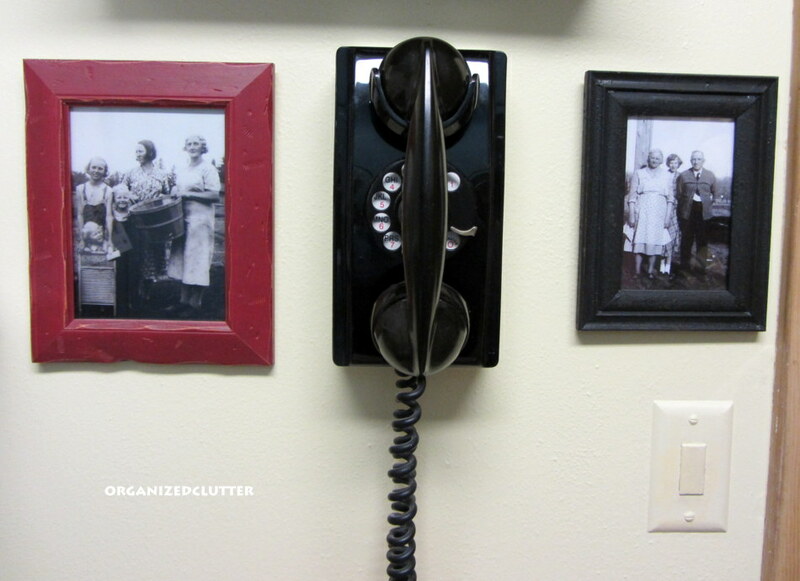 That classic wall telephone is worth to envy. It is simply lovely.